First up: An Australian politician had her legs broken and stretched to become 3in taller in a bid to be taken seriously. After nine months of excruciating pain, Hajnal Ban, 31, a councillor with Logan city council in Queensland, became a 'normal' 5ft 4in. So she paid the Ilizarov orthopaedic clinic in Kurgan, Russia, £19,000 to break both legs in four places and stretch them slowly for 1mm every day for nine months. 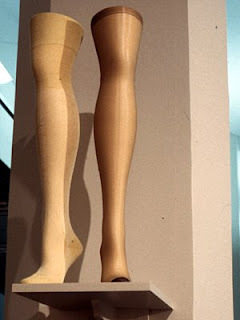 She said she did not want to be remembered as "the girl who got her legs lengthened". 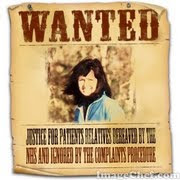 "I want people to take me seriously and to be known for the work I do as a politician in my local community," she said. Blown that then haven’t you. 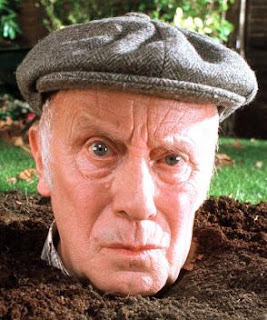 Real life Victor Meldrew jailed A real-life Victor Meldrew has clocked up 230 court appearances in a series of rows with bureaucrats and petty officials in Germany. Retired teacher Dieter Koehler, 73, was this week jailed for two weeks for swearing at magistrates 66 times while fighting a court case about an earlier spat. The grumpy pensioner - who quit teaching because he couldn't stand children - has broken all legal records in Germany where his fights with officialdom have turned him into a local hero in Hamburg. 'Alien skull' spotted on Mars At first glance it looks like a rocky desert - but this image of the Mars landscape has got space-gazers talking. 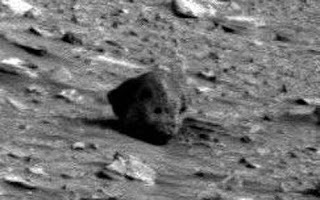 An oddly shaped space boulder appears to show eye sockets and a nose leading to speculation it might be a Martian skull. Previous images of a skull spotted on Mars in 2006 were believed to have been the result of tampering. The famous Face on Mars, snapped by the Viking 1 spacecraft in 1976, which showed the shadowy likeness of a human face was late, was found to be a trick of the light when the area was re-photographed in 1998. 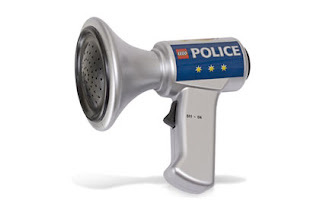 Police officers use megaphones to alert residents if doors and windows open Officers have also been instructed to go into unlocked properties and alert homeowners to the security risk - even to the point of waking them up if they are asleep. It is all part of a scheme that will see them patrolling the streets with the megaphones, shouting at homeowners to ensure their properties are properly protected. Insp Mike Grady said: "Sadly, a good proportion of burglaries in this county take place at homes that have been left insecure. Yes and now all the criminals in the area know where to go, obviously from the Iain Paisley school of communication. And continuing with the police theme Police officer attacked by her own dog after being shot by robber Police dog handler Katie Johnson confronted gunman Wayne McDonald and his accomplice David Tyrell after receiving an emergency call over an armed robbery at a pub. 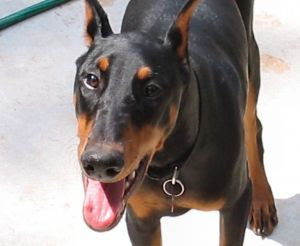 When McDonald blasted her in the leg with a shotgun, she set her dog Chaos on him, believing that he would save the day. However, instead of jumping on the robber, Chaos bit WPC Johnson on the arm, allowing McDonald, 47, and Tyrell, 39 to flee the scene in Preston, Lancs. WPC Johnson, who had only been paired with Chaos for three weeks when the incident happened, said: "I don't blame Chaos at all, dogs are dogs and not robots. "They react to things they're trained to deal with. We train police dogs to attack offenders who are holding a gun but when we train dogs, the offenders are offering verbal aggression." Maybe they should change the training? MoD builds Afghan village in Norfolk The MoD has spent £14million building a replica Middle East settlement at Bridge Carr in the Stanford Training Area, near Thetford. 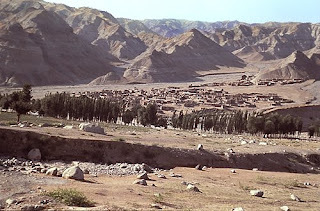 Houses are arranged around a traditional courtyard and vegetable patch and the village is populated by volunteers dressed as insurgents in traditional Taliban robes. Islamic calls to prayer ring out from the mosque and the dusty streets are strewn with motorbikes, tyres and carts. The smell of food cooked by the villagers wafts through the streets and synthetic aromas, such as rotten meat, are pumped out. Designed to re-create conditions in Afghanistan, the village has been built on a 30,000 acre live fire site which covers two per cent of Norfolk. The area was originally a replica Nazi village built in 1942 and has previously been transformed to resemble settlements in Northern Ireland and Bosnia. Every British soldier sent to Afghanistan - an estimated 11,000 a year - will train at the facility. Do they get much rain in Afghanistan then? I agree that lady will never be taken seriously again. As to the last article, that doesn't surprise me in the slightest, they haven't got a clue!